Serato Studio is a streamlined standalone music production app for Mac and PC, aimed at DJs who want to make beats quickly. It combines a Serato DJ-style interface with easy-to-use production tools. 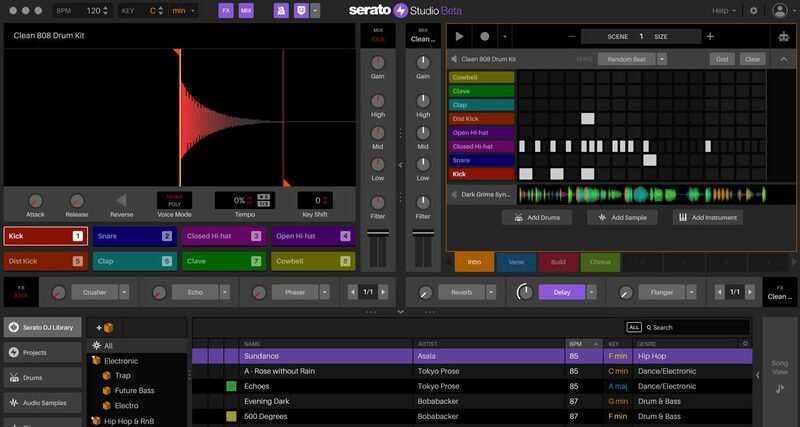 You make a beat by adding drums, sounds and loops from Serato Studio’s library, which you can then arrange into a full-on tune.